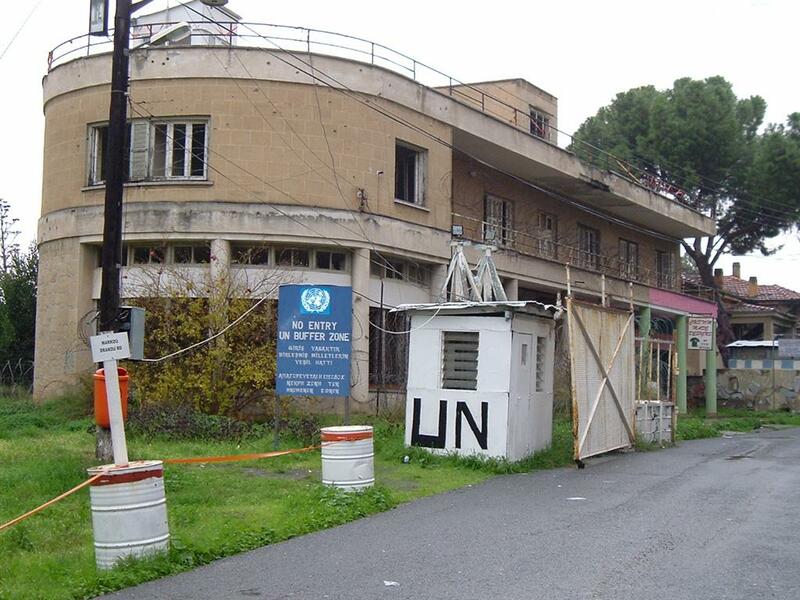 Left & Right--Inside the UN buffer zone in Nicosia. 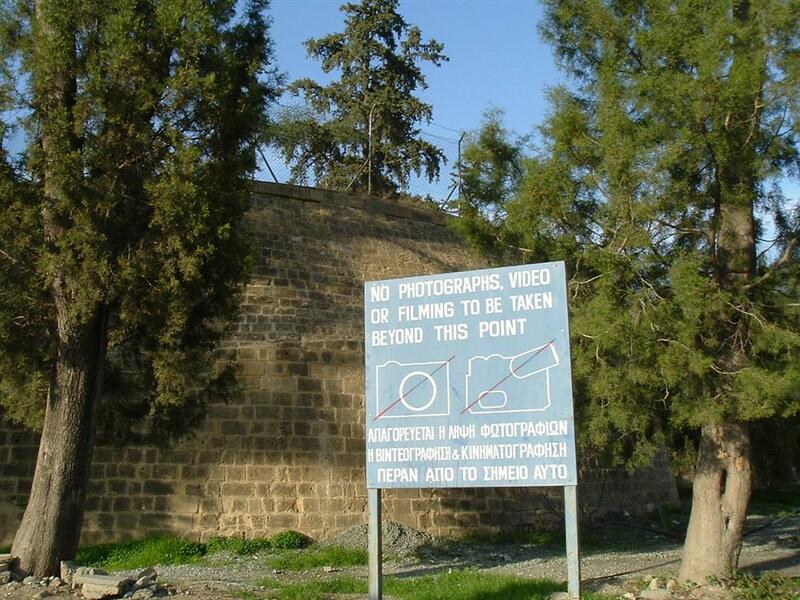 Right--the gate marks the middle point of the buffer zone in Nicosia and the main crossing. South side of the buffer zone. 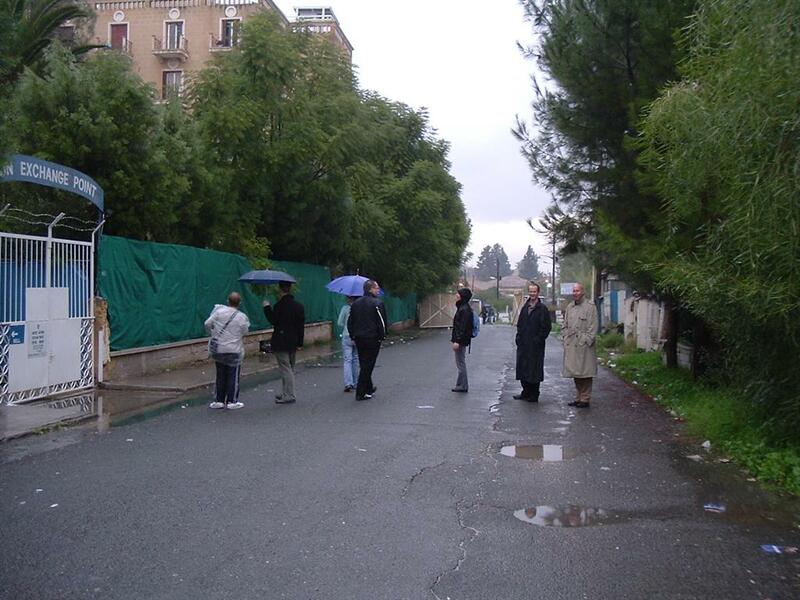 Church in the buffer zone on left. 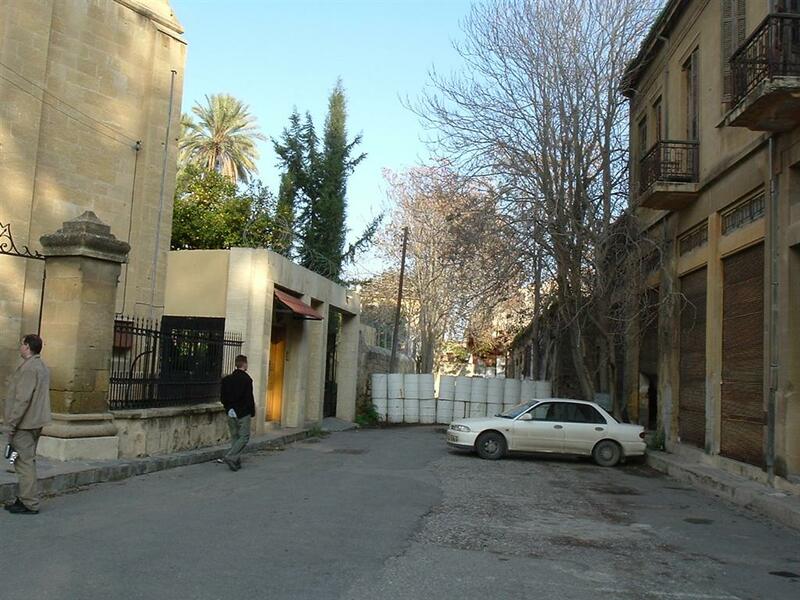 Right--old building on the edge of the buffer zone--behind the building is the zone. 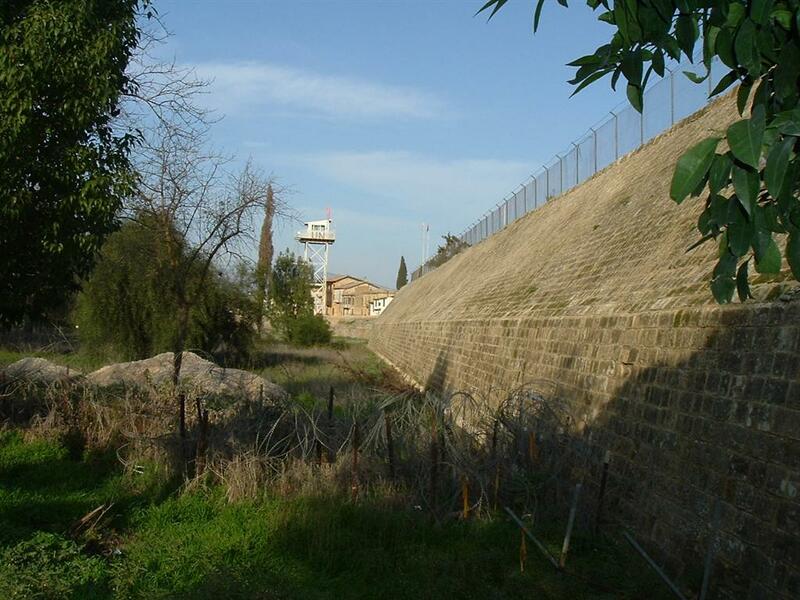 Left--at this point, the buffer zone in Nicosia is only the top of the wall and the fence. Right--the same place looking down from the Turkish side. The barbed wire in the foreground is the south edge of the buffer zone. 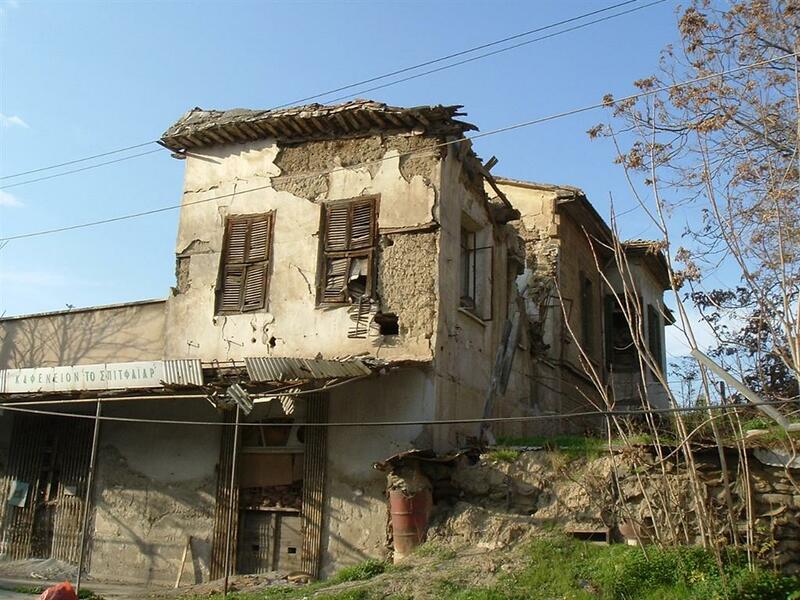 The buildings are in Northern Cyprus. 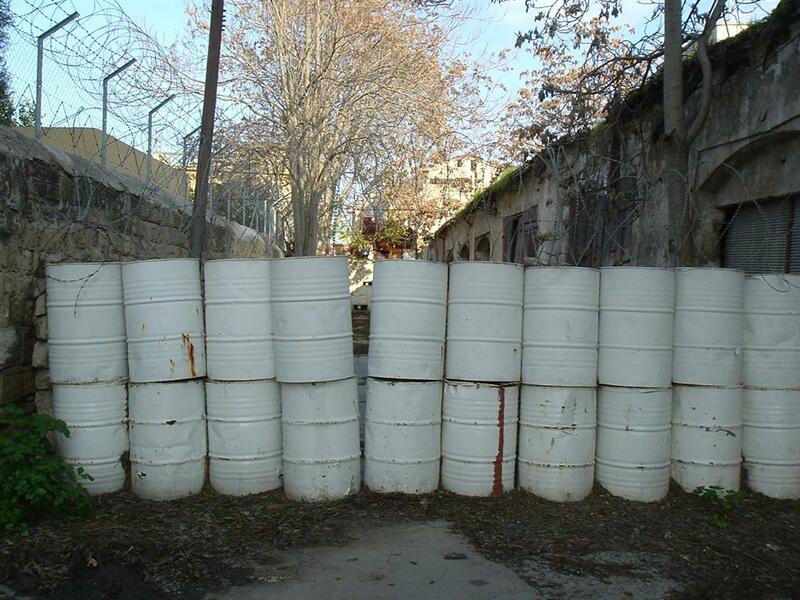 Right--the south side of the buffer zone in Nicosia. 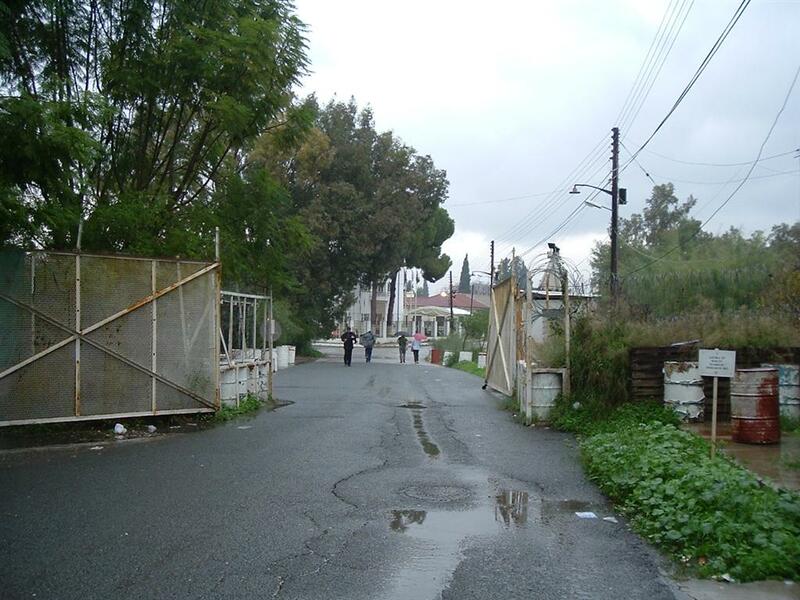 Left--Inside N. Cyprus proper, past the north edge of the buffer zone. 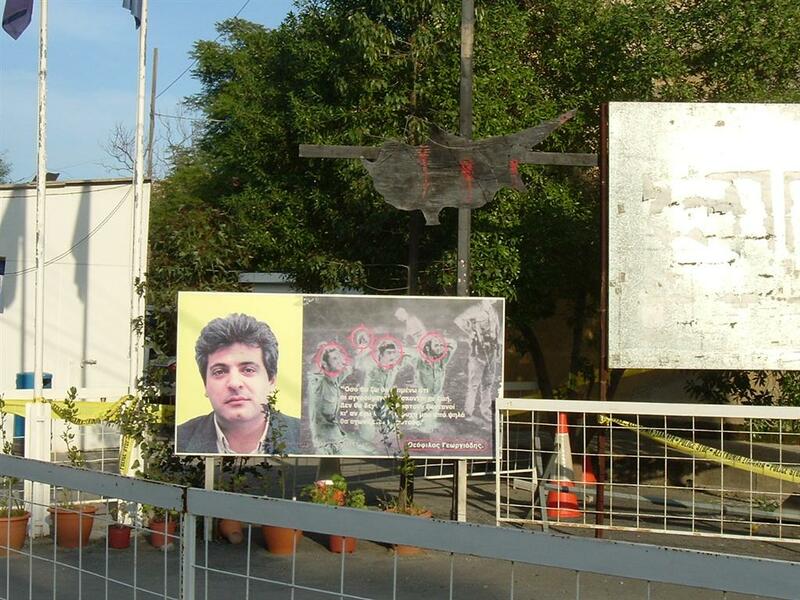 This is the TRNC immigration and customs post. 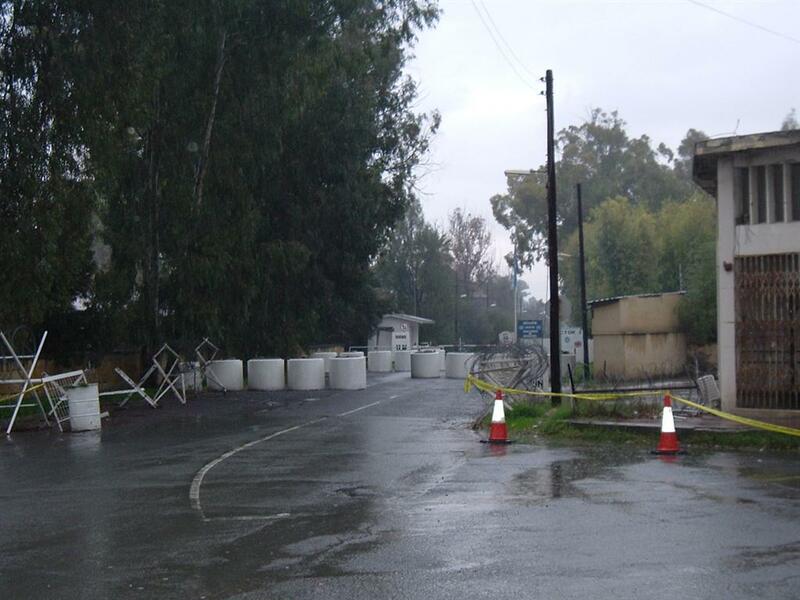 Right--inside the Greek half of the buffer zone. 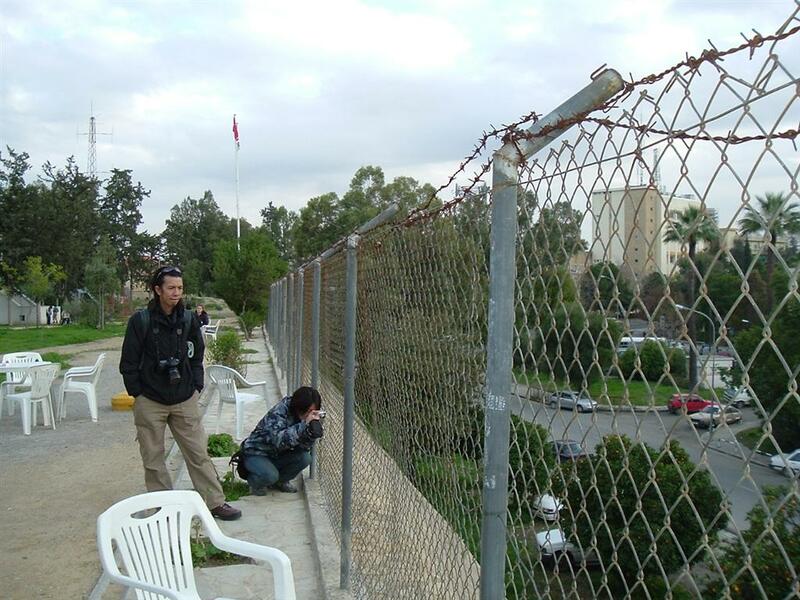 Here, the rolled barbed wire is the north part of the buffer zone. 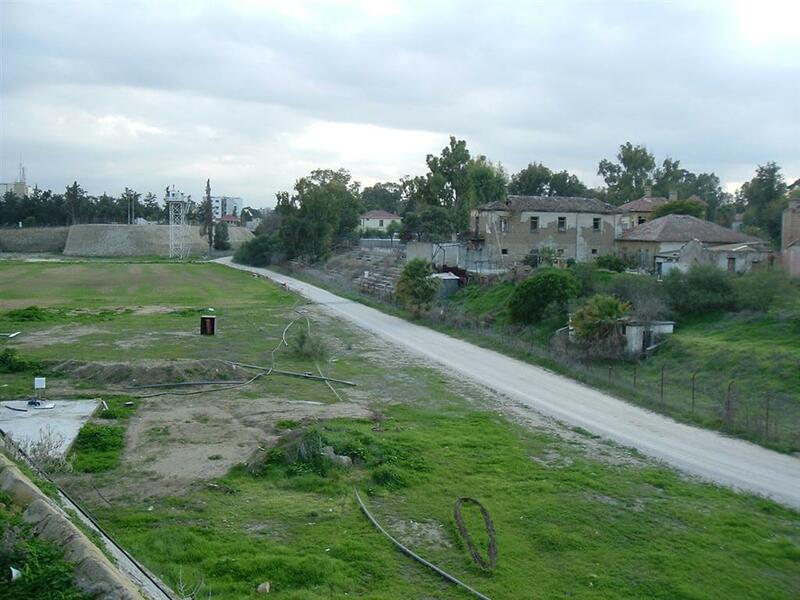 We're in northern Nicosia looking back toward the crossing point. 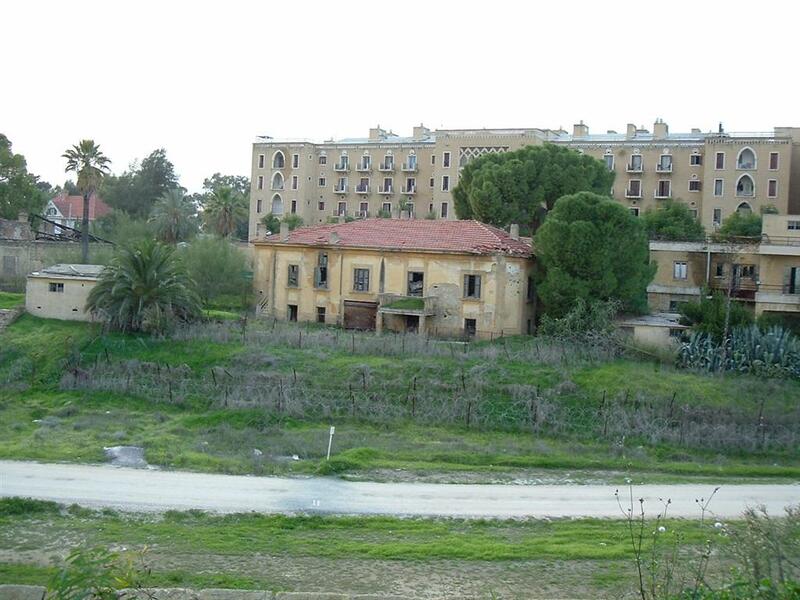 The large building is the Ledra Palace Hotel (formerly), which now houses UN forces. It, and the yellow house, are in the buffer zone. Left--from the Turkish north looking into the buffer zone. Right--similar view. The barbed fence on the right marks the northern edge of the buffer zone--houses in the buffer zone. Turkish Cypriot children play in the soccer fields below. Left--A group of border and tourism academics wandering north for the afternoon. The gate marks the halfway point in the buffer zone. Right--a UN post--no photos, please. 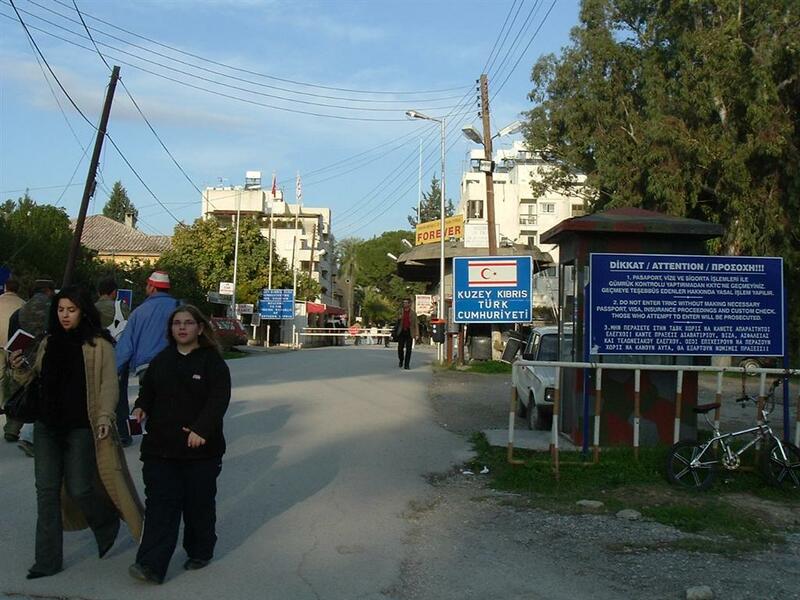 Not a crossing point but very near the Ledra Palace.